Early 2018, Belgian curator and artist Pierre Muylle presented objects he had brought back from various Palestinian cities during his Co-laBo residence at ‘les ballets C de la B’, and presented during the festival Under Construction : Flemish Palestinian connections. He chose objects, stories and experiences which he packed away and stacked in boxes. During the presentation, the objects were revealed one by one, exposing themselves at their own pace and revealing their stories. 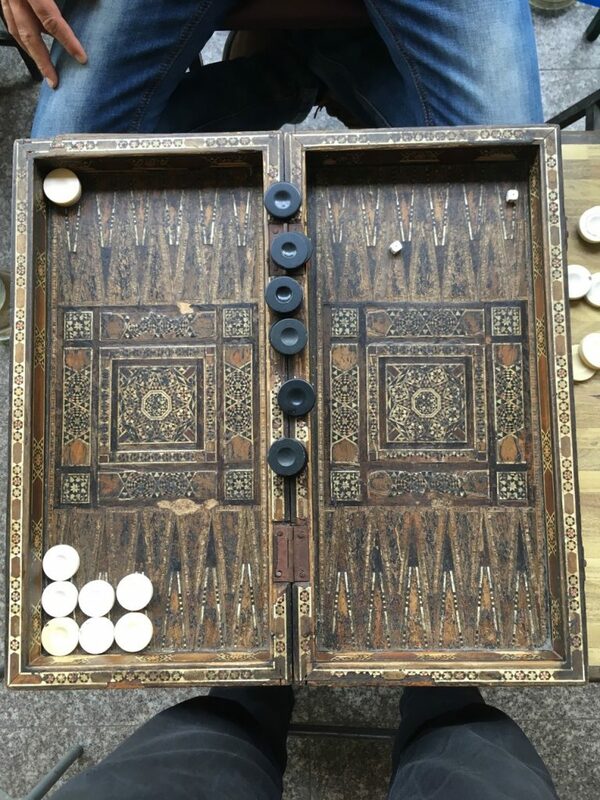 Zaher is the name of the popular game of backgammon or ‘trictrac’. For Pierre Muylle, the game was a good reason to meet people and hear their stories. Having toured with this collection through Flanders and Palestine, the first part of Zaher has been told and the objects are back with their owners. Pierre Muylle is now working on a second show. Starting off from the same principles, he is now trying to fathom Hebron and the Gaza Strip. The forming of the second Zaher is dependent on the objects, the people and the stories he encounters there. Next, Zaher goes on tour, arriving ultimately in the countries they came from, where the stories will be told to the people who told them or experienced them originally.